I'M TEACHING AT 1440 MULTIVERSITY! Have you heard of 1440 Multiversity yet? This brand new transformational retreat center, nestled in the beautiful Santa Cruz Mountains, is named for the 1440 minutes in every day. Cvita is an artist and healer, and has been studying plant medicine in Peru for the past seven years. 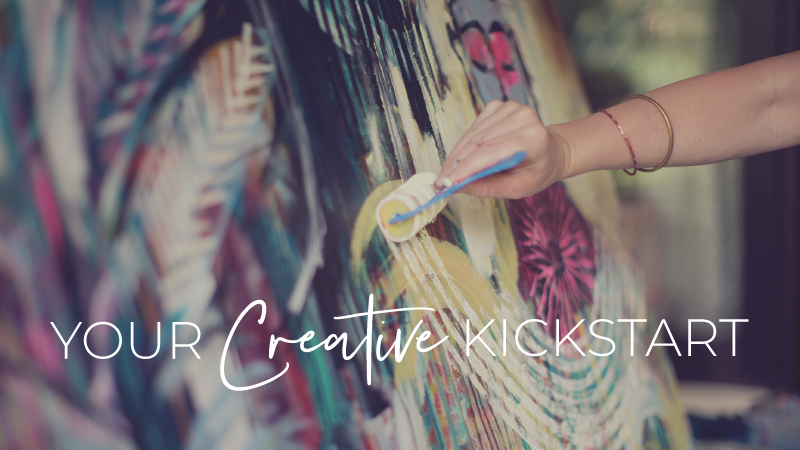 Together, we’ll explore the dynamic intersection of creativity, shamanism, and personal growth. We’ve been dreaming of offering this workshop for many years, and we’re super excited to share it in this special setting. Throughout this five-days, we’ll weave together mindful movement, writing prompts, guided meditations, and unique, mixed-media creative exercises to uncover personal symbols and explore how creativity can serve as a vehicle to access and transform energy, thoughts, and patterns. Please note, this is NOT a Bloom True Workshop. We will be working on watercolor paper with mixed media (not on large canvases), and many of the exercises will focus on personal growth and self-discovery. You can read more about this special offering and register for it over on the 1440 website. If you have any questions about the workshop itself, please don’t hesitate to ask. If you have questions about 1440 or other workshop logistics, please direct your questions to the 1440 support staff. I hope to see some of you in the forest! We all have a desire to live a better life, a longing to connect more deeply to ourselves and to others. We believe that these connections are what give purpose and fulfillment to our journeys. The key to forging these connections is the capacity to build life skills for being in strong relationships. As with anything else, the ability to foster meaningful relationships can be learned and developed, improved and shared—on purpose, with practice. Only you can define the starting point for your path. Our intention at 1440 Multiversity is to provide a special setting and to offer invitations to programs that meet you where you are—a wide variety of courses chosen by you, for your intentions, for your life.